Frontal trim kit is included in the microwave for an Easy installation. 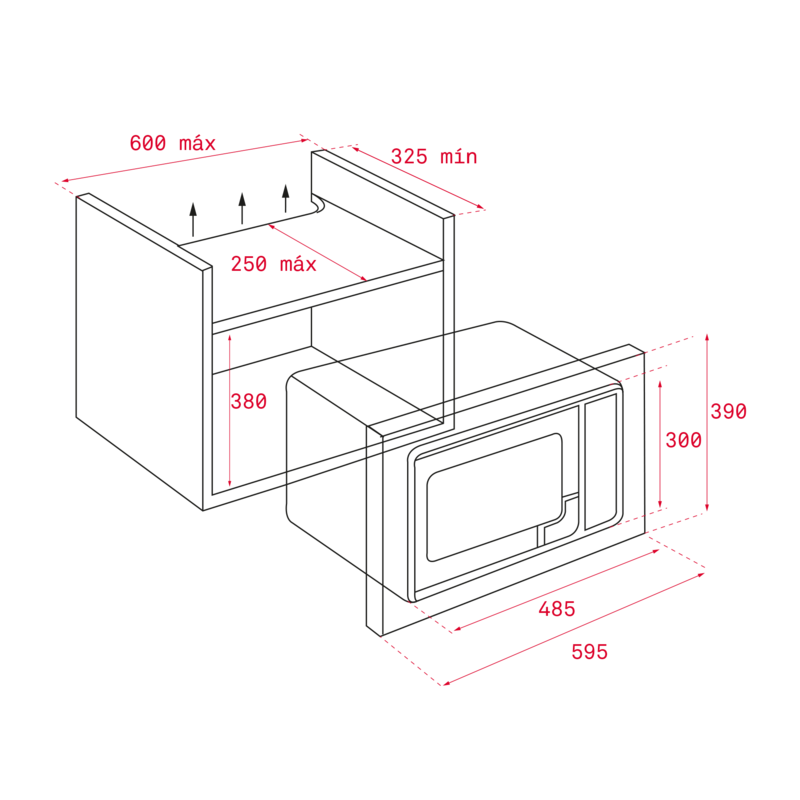 The frame is already fixed to the microwave oven instead of the cabinet, so the assembly process is faster and we can get our new microwave ready in just 5 minutes and using 4 screws. Up to five power levels to cook great recipes in just a few minutes. High quality stainless steel coating makes your microwave easy to clean. 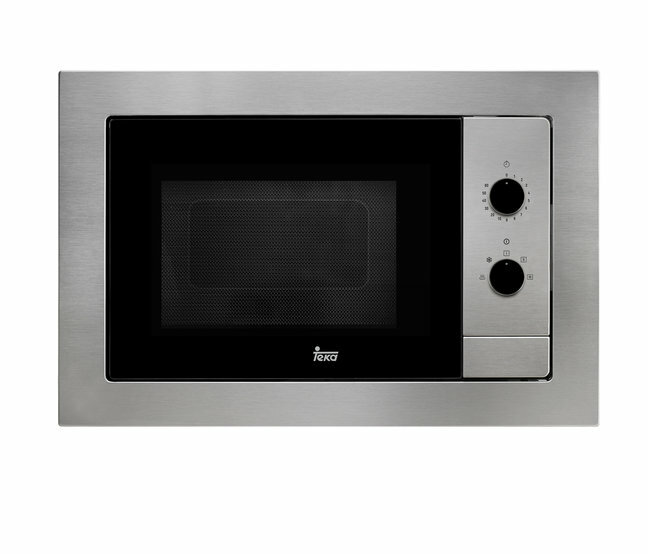 With Teka microwave ovens you can select different power memories and heating times so you can repeat your favourite recipes as many times as you wish. Your dishes will have a better heat distribution with the new ceramic base and keep your appliance clean will be now easier than ever. Crunch plate will give you the chance to cook easy and fast. You can do a potato omelette without turn it upside down, cook a quiche or even do some crunchy French fries. You can even have crispy pizzas thanks to the plate, reaching very high temperatures to turn the borders golden brown and crusty. Models with 25 liters of capacity offer a bigger cooking space and the chance to use rectangular shaped plates.